Multiple Authors • $11.95 • 10 articles • Item # VB 140 Get 10 of our best and most popular articles and presented so you can start your program now! This kit focuses on Aerobic/Anaerobic Conditioning for Volleyball. Includes an index of each article and how you can use it to establish your aerobic/ananerobic conditioning program. Plus as a Bonus You Get- Circuit Training for the High School Volleyball Athlete — A Conditioning Tradition Volleyball is a power sport. But conditioning for volleyball is important for three reasons; the first to aid in recovery between rallies, to be able to continue high level of play in the fifth set and to recover from workout to workout and or match. This creates a coaching dilemma of answering the questions of what to do, how much to do and when to do it. This kit is designed as a guide to create conditioning methods that allow the coach to provide adequate conditioning without the loss of power and do it in a time efficient manner. This kit contains three forms on aerobic/anaerobic conditioning: volleyball movements with the ball combining skill work with conditioning, volleyball specific movements without the ball which offers specific conditioning without the interruption of ball handling errors and general conditioning. The nature and methods of aerobic and anaerobic conditioning in volleyball are controversial. Studies show that for every one unit of work there’s three units of equal time for rest and recovery. This work to rest ratio classifies volleyball as a power sport. Further studies show that training aerobically (long slow distance training) in a power sport will reduce the athlete’s ability to maintain and/or increase power thus reducing performance. But conditioning for volleyball is important for three reasons; the first to aid in recovery between rallies, to be able to continue high level of play in the fifth set and to recover from workout to workout and or match. This creates a coaching dilemma of answering the questions of what to do, how much to do and when to do it. This kit is designed as a guide to create conditioning methods that allow the coach to provide adequate conditioning without the loss of power and do it in a time efficient manner. This kit contains three forms on aerobic/anaerobic conditioning: volleyball movements with the ball combining skill work with conditioning, volleyball specific movements without the ball which offers specific conditioning without the interruption of ball handling errors and general conditioning. Get started today! Index SECTION ONE Exercise Techniques Article #1 Three-to-One: The Volleyball Specific Rest-to-Work Ratio Article #2 Volleyball Specific Circuit Training Here’s a volleyball specific movement training circuit menu of exercise library and program based on the 3:1 rest to work ratio in volleyball. 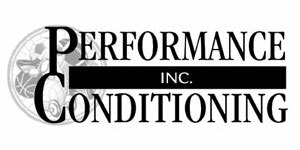 Article #3 10-20-10 Solution to Pre-season Volleyball Conditioning This running program provides both aerobic and anaerobic opportunities for the volleyball athlete. Article #4 Conditioning Requirements for Women's Volleyball This is a guide to establish year-round conditioning program going from general to volleyball-specific. Article #5 Movement and Energy Specific Conditioning Drills for Volleyball Article #6 Volleyball-Specific Endurance Program This running plan was developed for the collegiate level athlete. Article #7 Metabolic Conditioning for Volleyball Mini-Program for Maximum Results Article #8 Volleyball Roundtable: Ask the Experts-Energy Systems and Practice Design Article #9 Conditioning Interview-Structuring Practice to Gain a Conditioning Affect Article #10 Volleyball Skill Conditioning Exercises: A Specific Form of Training Here’s a way of combining ball touches with conditioning. Bonus Feature: Circuit Training for the High School Volleyball Athlete — A Conditioning Tradition This complete program provides a 28 station circuit set up right on the volleyball court. Provided are a detailed floor plan and how-to exercise techniques.